We have partnered with GoBook and external service provider for members to book online. 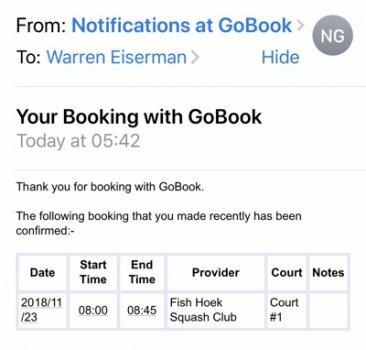 GoBook is trusted by a number of other squash clubs and offers a convenient way to book. 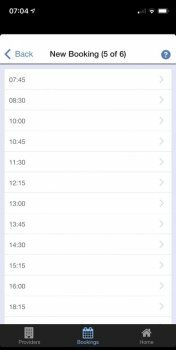 You need to register as a client on the GoBook system before you can start making bookings. 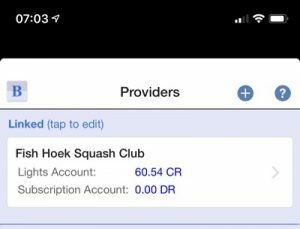 This not your FHSC club access details – you will use those details later when you link your GoBook account to FHSC. Fill in the form – if you need help for a particular input field, just position the mouse pointer over the field in question. The mandatory fields are highlighted by a red asterisk. 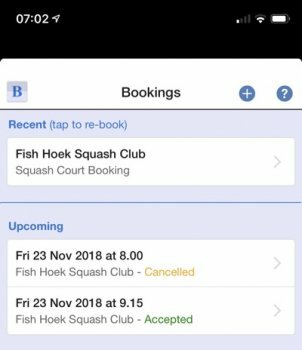 Since the website is intended to be for bookings not just for Fish Hoek Squash club but for other service providers as well, you are welcome to choose your own username and password which you will use when logging on to the site. When you are ready, click on the “register” button. When you receive the email, please click on the link in the message – this will complete the registration process and you will now be able to log in to the website. Fill in the form – if you need help for a particular input field, just position the mouse pointer over the field in question. The mandatory fields (i.e. the information you are required to supply) are highlighted by an asterisk. Choose “Fish Hoek Squash Club” from the list in the Provider drop-down. 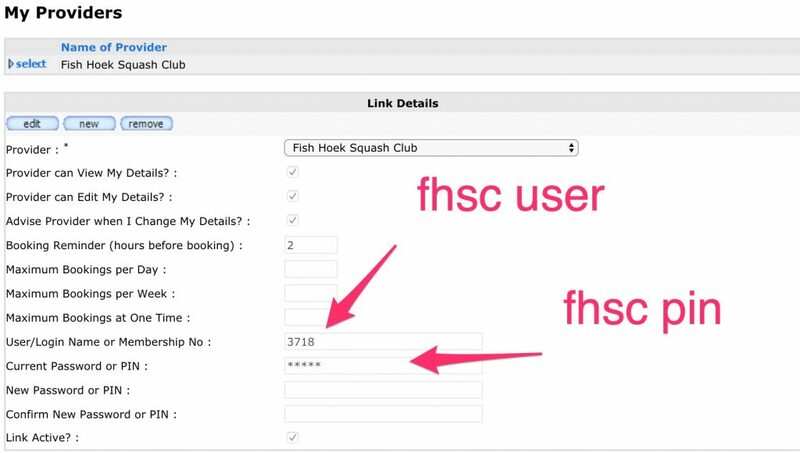 Since the bookings you make online will need to be validated and stored in the Court Manager system at your club before being confirmed to you, you will need to supply your FHSC membership number and PIN ( usually for the Court Manager system – enter these details into the “User/Login Name or Membership No” and “Password or PIN” fields on the form. Your club should have already advised you of your membership and PIN numbers. When you are ready, click on the “insert” button. If you can’t edit the current password, enter your existing pin in the “New Password or PIN” and in the “Confirm New Password or PIN”. Need help with your fhsc member & pin? If in Step 10 above you do not know you FHSC membership number and pin, please contact us and we will email them to you.